Leonid Vaishlya was born in Petrograd (St. Petersburg), Russia in 1922. 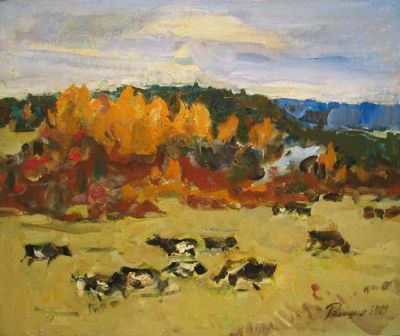 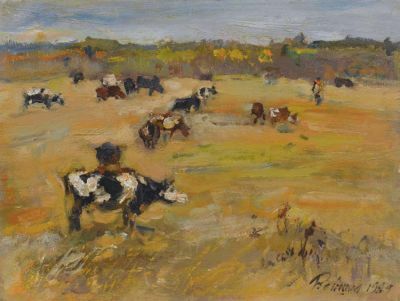 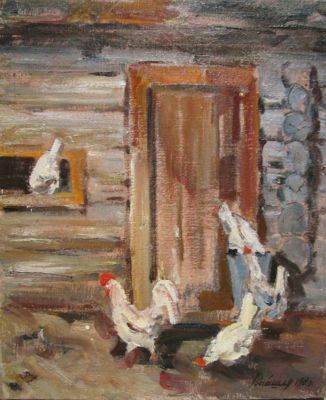 His art studies were interrupted by World War II in 1941. He became a member of the Red Army and served in the military until the War’s end in 1945. 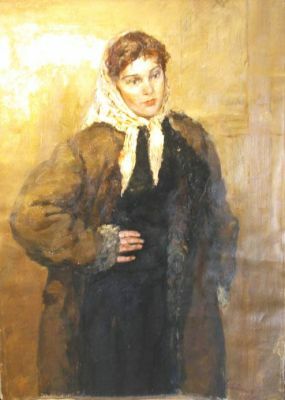 Vaishlya studied at the Leningrad Art College 1947-1951. He graduated from the Repin Institute of Painting, Sculpture and Architecture in 1960. He studied under the noted professors Platunov, Stepaskin and Y.M. Neprintsev. 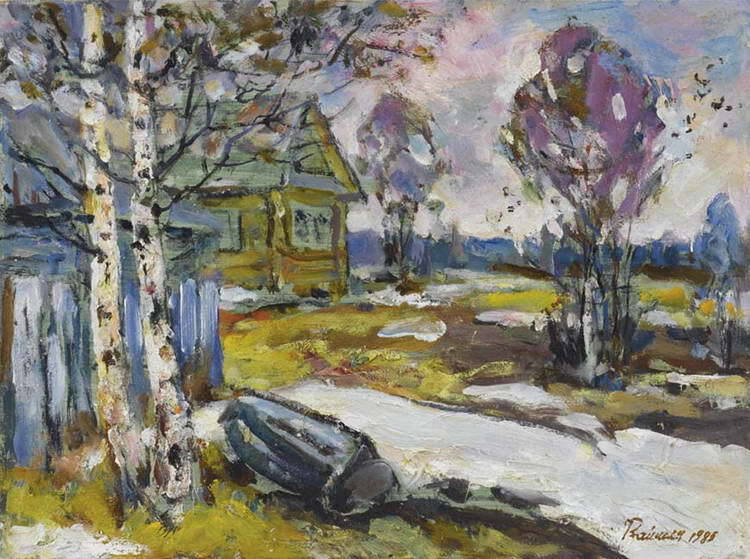 In 1964, Vaishlya became a member of the Artists’ Union of Russia. 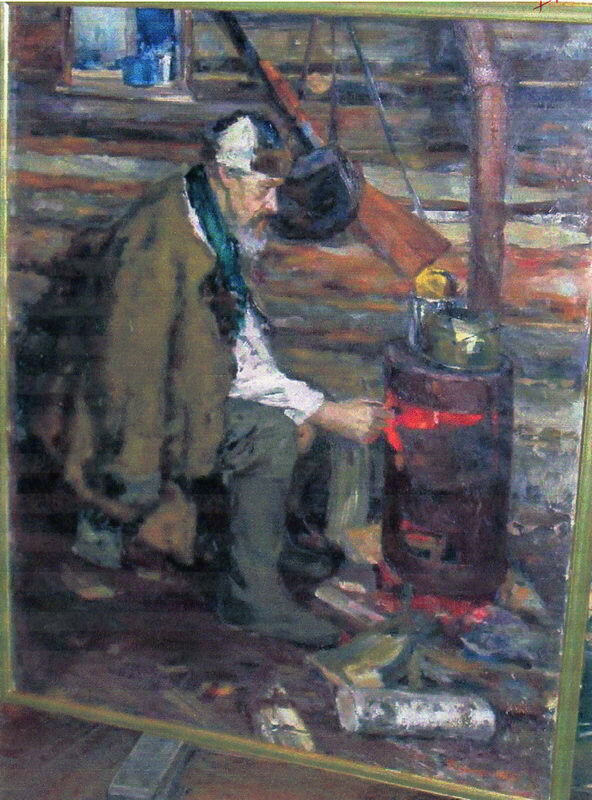 He participated in many All-Union exhibitions in St. Petersburg and State sponsored international exhibitions. His personal exhibitions include: the Artists’ Union, Leningrad 1965 and 1975; the House of Scientists, Leningrad in 1968; Turin, Italy, 1995 and 1997. 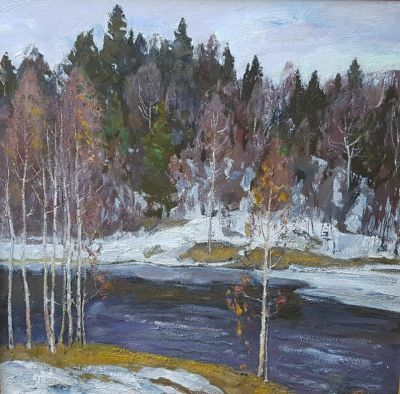 His works are owned by major Russian museums, including the Ministry of Culture in Moscow as well as numerous private collections throughout the world. 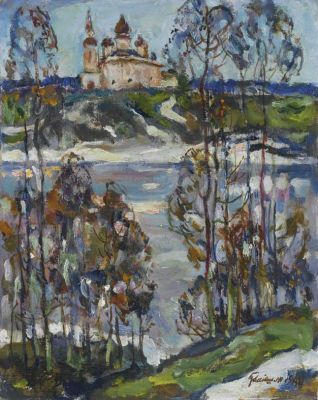 Vaishlya is listed on page 333 of Matthew Bown’s, A Dictionary of Twentieth Century Russian and Soviet Painters, 1900-1980’s.